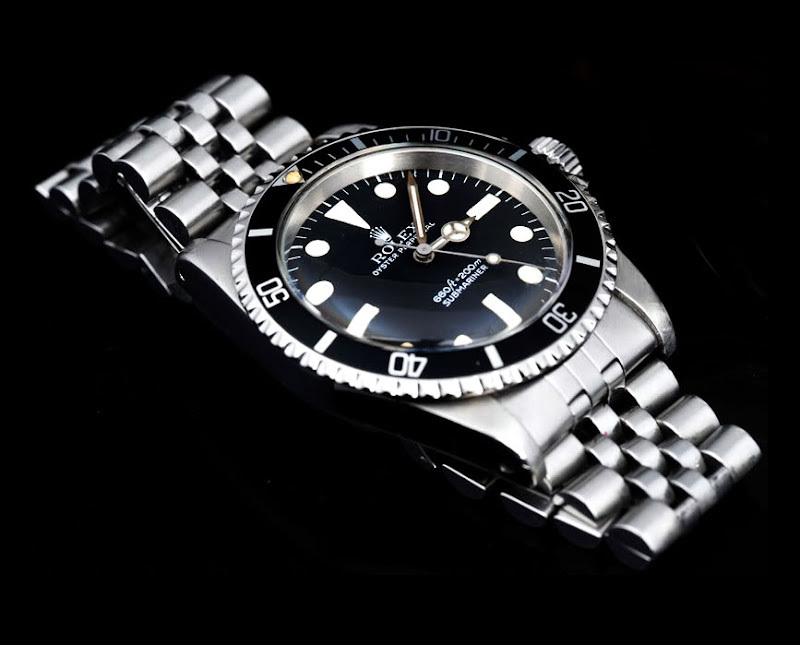 I figured since we recently took a look at the beautiful Single Red Submariner [Reference 1680]recently we should take a look at its dateless brother. Bernhard put a Jubilee bracelet on his vintage Rolex Submariner [Reference 5513] and took this great photo of the setup. It is amazing how cool such a small difference can make!! !